A lovely thing dropped onto the doormat a couple of days ago from Nick Hern Books; I received a copy of Kindertransport the author’s guide to the play. This is because I was interviewed by author Diane Samuels for her chapter on Helga, the part I played in 1993 when Kindertransport won the Verity Bargate award for the Soho Theatre. The play has enjoyed huge success around the world since and is now studied at A, AS and GCSE levels in the U.K. What is fascinating for me is to hear from all the other actors who played the other parts and their thoughts on their characters, but also the ones who’ve shared the part of Helga, with me, over the years. Even more enlightening for me is the part that Diane shares with us from her second draft, a monologue that Helga delivered at the beginning of the play, that subsequently got cut. She didn’t want the emotions that the speech delivers to be spoken but to be embodied within the scene, believing that what remains unspoken is far more powerful and colours the subtext. Diane first found out about the kindertransport in 1989 and, having grown up in a Jewish community in Liverpool couldn’t understand why she had never heard of it before. At the end of 1938 after a series of attacks on Jewish property and arrests by the Nazis it was arranged that a small amount of under sixteens would be allowed refuge in England, and so ten thousand children were transported to England for safe keeping. The play looks at one young girl, her arrival in England and what subsequently happens to her and her family and how she denies her roots as she grows up. Samuels says ‘[i]f you think you know what memory means, then the play asks you to think again, to feel, see, hear, touch where memory hides and reveals itself, to realise that the value of what you do and do not remember might not lie in the past but in how it connects you to what is fully alive, or solidly frozen, within you right now, as present as ever’ (Samuels 2014:9). This book looks at the context and background to the play, using oral histories of those who came to England as children as well as the creative processes from all the different productions. This is an ultimate guide for the play, not by a notable academic but by the person who has lived with it for over 20 years and perfect for anyone studying or indeed performing it. 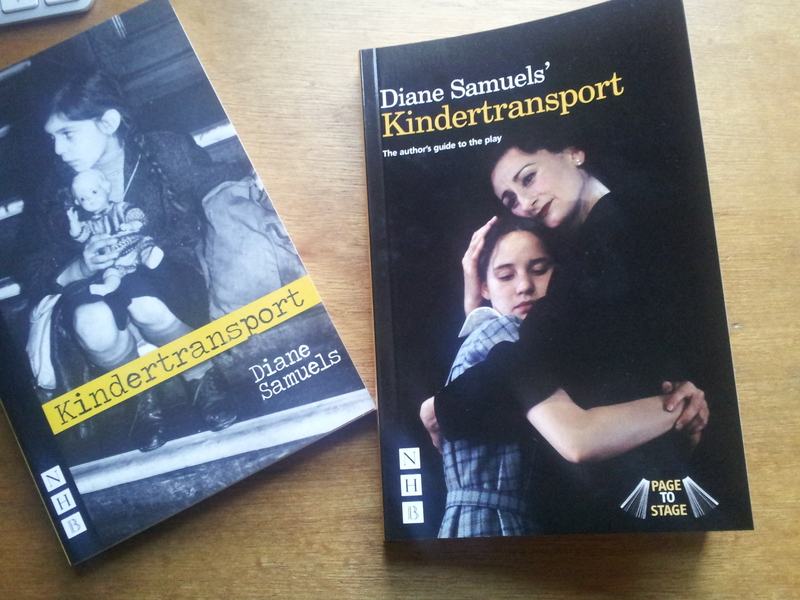 Kindertransport, the author’s guide to the play by Diane Samuels is published by Nick Hern Books. There is also a version of Kindertransport produced by Hall and Childs currently touring, rather timely! This entry was posted in Uncategorized and tagged Diane Samuels, Nick Hern Books on February 12, 2014 by Ruth. This sounds amazing Ruth. Thanks for posting it! I’ll try and get hold of a copy. David, from a dramaturgical point of view it’s really enlightening.